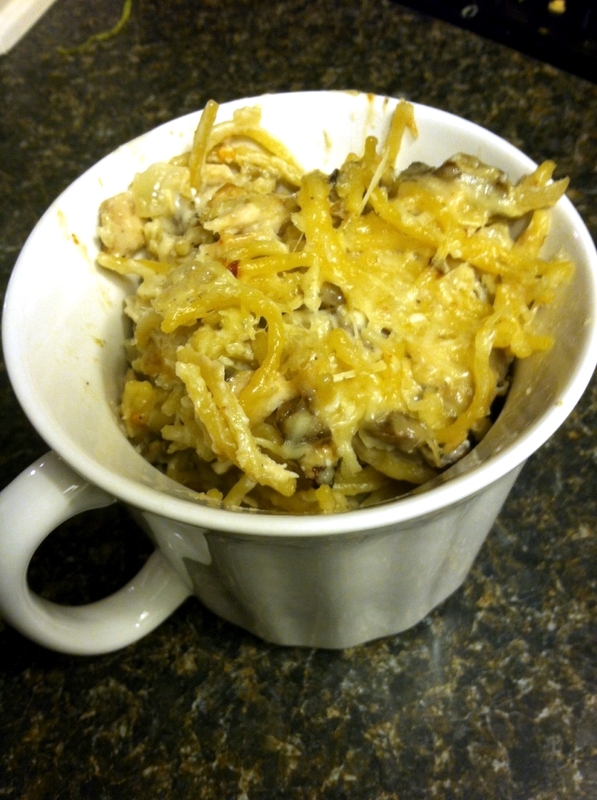 My husband and I are not usually into casserole-type meals, but this tetrazzini was a very pleasant surprise. I took several liberties with the original recipe, jazzing up the sauce with garlic and spices while cutting back on the butter and cream. After digging into it for dinner tonight, I wouldn't change a thing next time. It was a nice way to use up some of the leftover Thanksgiving turkey we've got in the freezer. 1. Preheat oven to 350. Grease a 9 X 13 pan. 2. Bring a pot of lightly salted water to a boil. Add spaghetti noodles and cook until al dente, about 7 minutes. Drain. 3. Meanwhile, in a large pan, melt butter over medium heat. Add onion and mushrooms and sauté until onions are translucent and mushrooms are beginning to brown, about 8-10 minutes. Add garlic and stir until fragrant, about 30 seconds. 4. Reduce heat to low. Add flour and cook, stirring constantly, for 1 minute. Add chicken broth and stir until smooth. Add cream, milk, and 1/4 cup Parmesan cheese and stir until combined. Bring to a low boil and allow to cook until slightly thickened, about 2 minutes. Add poultry, seasonings, and cooked spaghetti and stir well. 5. Pour mixture into prepared pan and top with remaining Parmesan cheese. Bake in preheated oven until cheese has melted and dish is hot and bubbly, 15-20 minutes. Although I've been doing a lot of best essay writing services but I think I will find time to make this. Thanks for sharing the recipe with us bud. Going to try this out tonight. The Best lusso repliche orologi . Here you can find almost swiss brand replica watches.Replica watches,one of the most famous brands,repliche orologi,Specialities watch for sale,Fast delivery and free shipping!